Thirsty Pilgrim: Hedonism not Fetishism! I'm toying with this idea, which is not so original, that it doesn't matter where a beer is from any more than it matters what style it is. Just for exercise, let's say, I'm ditching categories like they were training wheels to find balance with what matters most in the whole wide world: whether it gives me pleasure. As a brewer you can take ideas from anywhere you want, right? And ultimately the finished product is your own, right? So why would you give your precious child to someone and say, "Here, this is an American-style IPA," or "Here, this is my take on a Swedish craft-brewed imperial porter," or whatever. Why put your beer and your drinker in a box like that? Why not just say, "Here, I made this." Keep the inspiration as your little secret. And if they want to know more: "It's a little bitter and fruity. I made it to be refreshing and to go with tacos, because I get get very thirsty, and I like tacos." For example. Ideally the thing crafted is an expression of the craftsman, not an imitation of a category that probably thousands of other brewers (and homebrewers) have already tried to imitate. So why persist with the fetishes? Oh, I'm sure there's a perfectly good reason why. Maybe some of you will remind me, since I've forgotten. But I don't have to play along. And if the answer is just, "So we know what to expect," then I would just say, "Then we shouldn't be so damned lazy." I'd also suggest that such labels give you the wrong idea as often as they give you the right one. My point is—or was, originally—where a beer is from matters less and less these days. Call it another consequence of globalization—especially the ease of international trade, immigration and travel. Ideas are moving around faster than anyone can follow them. Meanwile what has always mattered most with beer is how much you enjoy it. 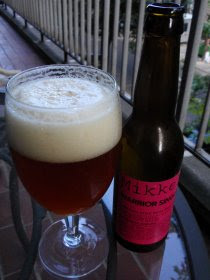 How else to explain the existence of Mikkeller beers like this one, the Single Hop Warrior IPA. I could say it's a bitter ale with big floral and orange-zest aroma, with a juicy but resiny flavor that coats the tongue and eventually hinders drinkability. I loved the first half-glass. Die-hard hopheads would love much more of it. Or I could say this beer is an American style based loosely on a British style but brewed by Danish brewers at a Belgian brewery. But what would be the point? Where my beer is from matters a lot to me. Whether it was made locally by a struggling craft brewer, or by an opportunistic importer getting own-label beer contract brewed elsewhere, is important to me. But that doesn't seem to be what you're talking about here. 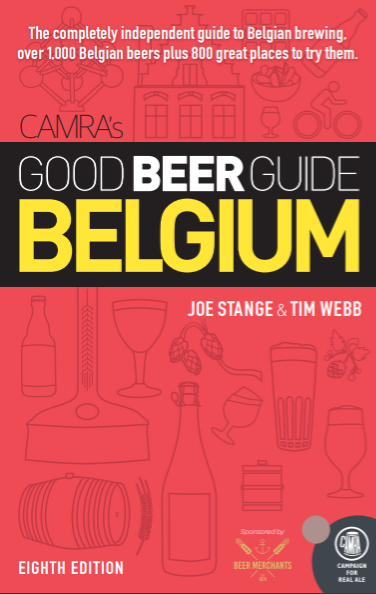 You're still on beer styles and where they're from, by the looks of things. Styles exist in large part to give enthusiasts something to get worked up about after the initial thrill of appreciation has diminished. As an extra gloss of nerdery, they are mostly harmless, unless you take them too seriously. It's true in photography, wine, coffee and probably beer as well. I think there is always a point in knowing who is responsible for the beer. Thus place still matters even if that place is Truckee, California, and you might choose between a beer fermented with yeast sourced from Belgium and one with American ale yeast and a ton of Northwest hops. Maybe I could put it another way. Should the geographic origin of a beer affect how much you enjoy it? Still just thinking out loud. It's kind of like I tell people when I am asked questions about beer and I end of going on an endless drawn out mix of rants and compliments... The beers you drink should be the ones you like. Kind of going along with doesn't matter what they are or who they were brewed by. "style" can be important. If someone hands me a beer and says "here, what do you think?" I SOMETIMES need a reference point. I may like it, but if they tell me it is an IPA and to me it tastes like a wit, then that tells me something about the brewery. Also, when I think about recipe formulation, styles offer me starting points. I rarely actually brew a specific style but they can show me how the different ingredients in different beers affect the final product (by slightly reverse engineering and comparing beer styles, blah blah blah). Unfortunately "styles" are pretty much just used so we can have beers compete with each other (within a style) so that we can feel good about drinking the best IPA or the best whatever. now I am just ramblin' away about nothing. If you read this far then you are a very patient person. My hat is off to you. It's All Just Smoke Anyway. Give a Dog a Cantillon. Drie Fonteinen Spirit on the Way.